Remix is covered by an exclusive Scrigno patent, developed from an evolution of the Base and Granluce frames. 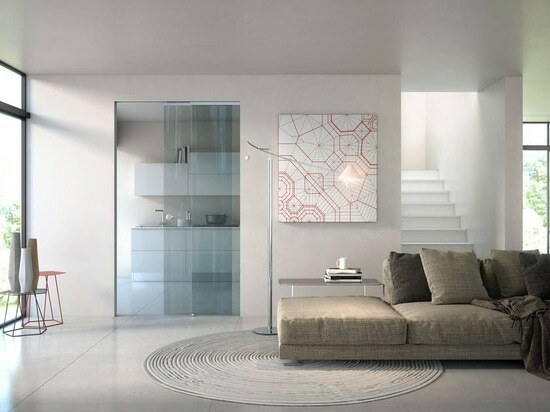 Glass panels and their assembly hardware are exclusive products offered by Scrigno. Can be sold separately. Door panels are made in tempered glass with a thickness of 10 mm, and are supplied complete with a choice of either an upright or inset ring. Doorposts are available in MDF with a satin steel effect or an unfinished Tanganyika veneer. 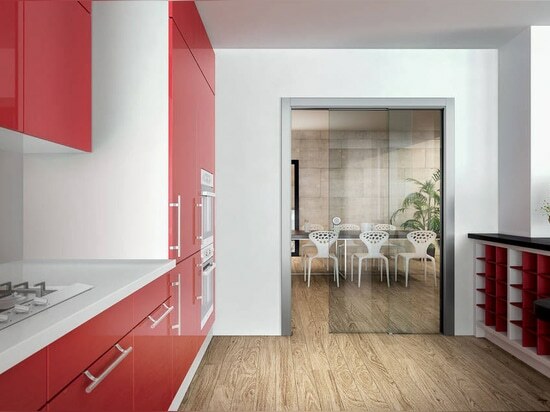 Glass can be supplied with either a transparent or frosted finish. 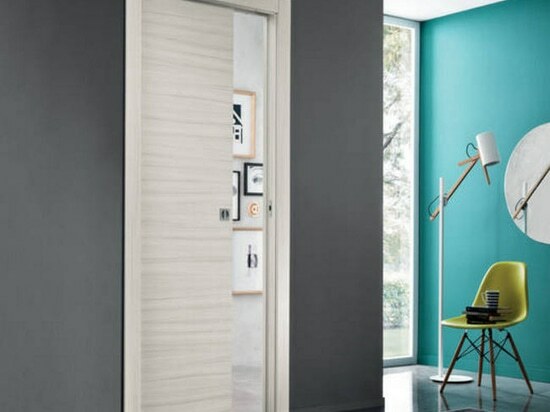 The doors of the Essential by Scrigno range are swinging doors designed with the Wall-Door System, without edging trims. 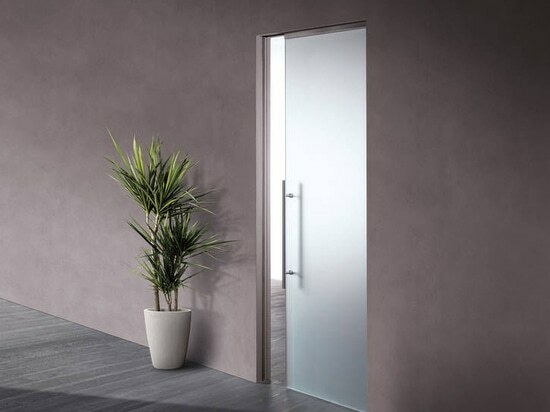 Comfort is a new range of sliding and swing doors offering a variety of refined and elegant solutions suitable for all interior design needs. 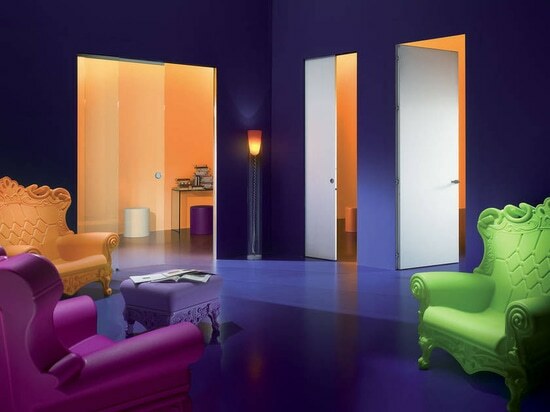 Glass doors for the Essential frame offer extreme purity of design. An exclusive Scrigno patent, Essential Dual is an innovative product that can contain two disappearing glass doors with a linked sliding system inside a single metal box. 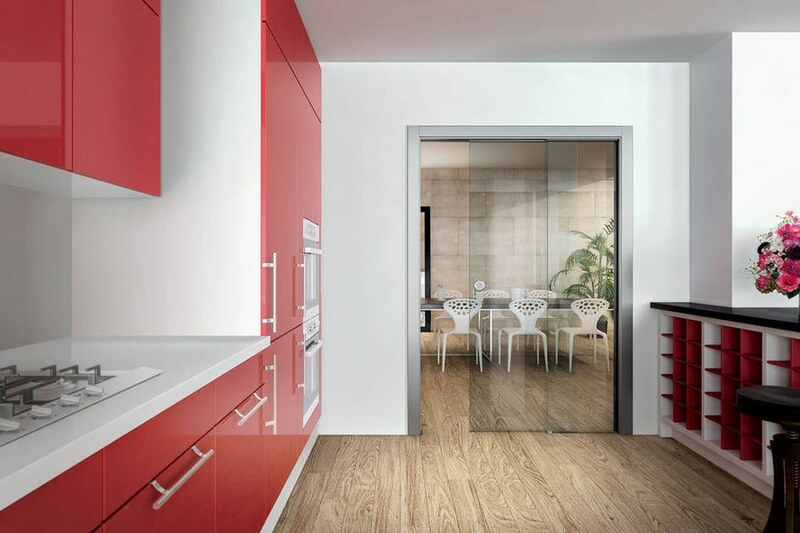 This special feature is enhanced by the low wall thickness – Essential Dual can be installed inside a normal wall with a thickness of only 10.5 cm – and the 1 cm thickness of the glass doors.